State education codes are clear that only teachers can change a grade, unless there is a clerical error or fraud. Yet teachers are often subtly threatened if they don’t comply with what their principals demand. What I’d like to know in the present case is where the teachers’ union was in the matter. When I was teaching in the Los Angeles Unified School District, the best principals I had backed their teachers and refused to cave in to pressure from parents. But today the situation is different. Pressure is more likely to come from school headquarters to change grades to allow more students to graduate than from irate parents. If graduation rates don’t continue to rise, principals fear being demoted or losing out on bonuses. Of course, officials at school headquarters will deny the practice exists. It’s a mini scandal that further undermines taxpayer confidence in public schools. 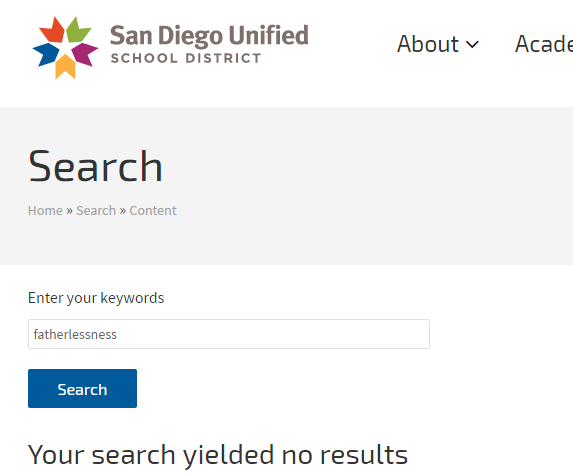 During our 20 years as a San Diego Unified School District Stakeholder, Parent and Volunteer, District Deeds has heard numerous stories from Parents,Teachers and Principals of attempted teacher intimidation and coercion to change grades of students outside of the rules established to prevent it. As the article mentions, the improper coercion comes from many different sources. Part of the case to remove former Trustee Marne Foster from office was her intimidation of teachers and Counselor Kim Abagat to improperly change the records of her son at SCPA. 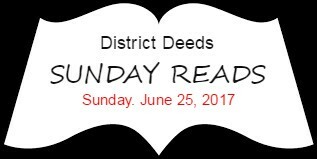 District Deeds has learned of a case this year where a SDUSD Principal and Teacher conspired to change a grade AFTER the grading period to enable the student to improperly receive a scholarship worth thousands of dollars…a clear case of fraud. The widespread strategy by the current Supt. Marten administration to allow students to cheat on non-proctored credit recovery on-line classes to falsely inflate grade point averages and graduation rates is a just another version of improper grade changes aided by technology and sanctioned by the highest levels of SDUSD leadership. Is it any wonder that so many SDUSD graduates are forced to take remedial classes when entering colleges or unable to qualify for employment? Meanwhile SDUSD Supt. Marten and Trustees Richard Barrera, John Lee Evans, Kevin Beiser, Mike McQuary and Sharon Whitehurst Payne get to brag endlessly about their fake 92% graduation rate. But troublingly, students in the highest poverty schools still have far less access to some of these services and opportunities than students in the lowest poverty schools. Their schools are less likely to have support personnel like counselors and librarians, and they are less likely to offer college preparatory coursework. In some content areas, like music and computer science, the gap in access has actually widened. contributions to employee pensions in coming years. stakeholders, policymakers, and the broader public are left to wonder whether this massive public experiment and investment is paying off. Typically, throughout the 2017 LCAP/LCFF planning process in the current Supt. Condy Marten regime, there has been zero transparency as to how the LCFF budget has been tied to the LCAP goals and initiatives. The process has been even more negatively compromised by denying the SDUSD Stakeholders a copy of the LCFF Budget throughout the majority of the meetings. In the middle of the current SDUSD $124 million budget deficit mismanagment scandal, it is easy to see how an incompetent and inexperienced Supt. Cindy Marten is completely overwhelmed with managing a $1.2 BILLION budget and be completely unwilling to expose her inadequacies with full transparency and scrutiny. Marten has proven that Superintendent of the 7th largest school school district in the United States is the worst possible environment for her “On The Job” training…as unfortunately evidenced by the hundreds of SDUSD employees who are losing their jobs. To ensure that this does not happen again, there needs to be a full forensic audit of the SDUSD by the San Diego County Office of Education to be sure that an even larger financial disaster is looming due to shortcuts or improper spending by this inexperienced Marten administration. Fatherlessness is having a great impact on education. First of all, it’s growing, and the correlations with any number of risk issues are considerable. Children are four-times more likely to be poor if the father is not around. And we know that poverty is heavily associated with academic success. [Fatherless kids] are also twice as likely to drop out. Despite a 1.2 billion budget with thousands of employees, initiatives, strategies and tactics, District Deeds was unable to identify even one Supt. Marten program that even mentions fatherlessness as a major negative impact to student educational success. From the article we learned that although many school officials are aware of the serious negative repercussions of not including fathers in student support and planning, very few school districts actually do anything about it. If any of our readers have a good example of a program that can work within school site communities to support fatherless families, please send them to us and we will include them in a future article.